Stay cool at work or on the weekend. 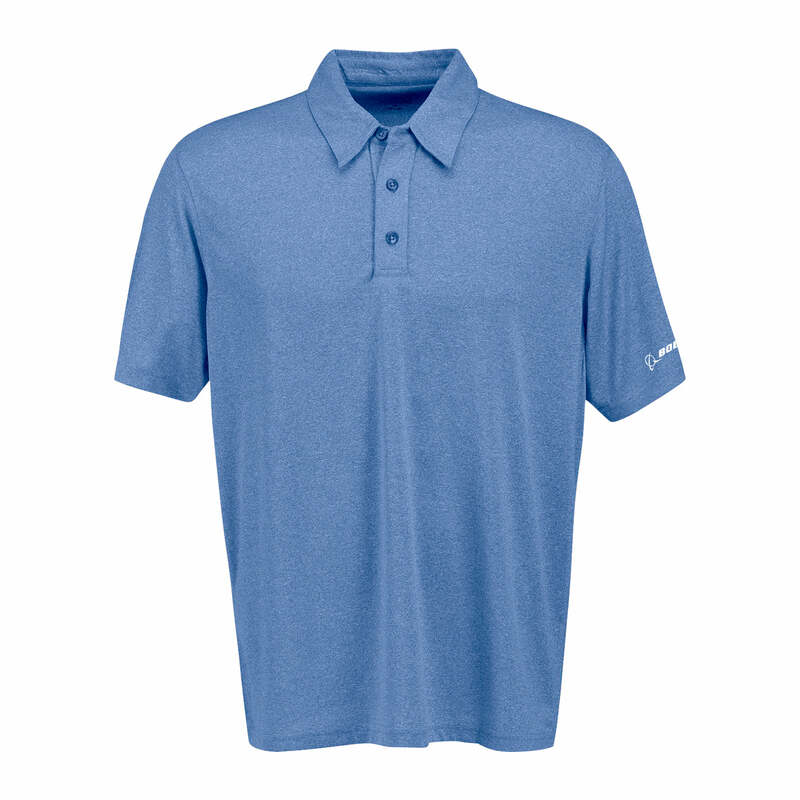 This comfortable performance polo shirt features Vansport? moisture management to keep you dry and comfortable in warm weather. It's styled with a self-collar and three-button placket, set-in hemmed sleeves, an even-hem bottom, and a tagless neck label. The Boeing logo is imprinted on the left sleeve (white on blue; black on gray). 100% polyester. Imported.